Cynder is a violet dragoness with a dark past. Working for the Dragon King of the Underworld until she was freed by Spyro, she is now fighting against evil, slowly learning new ways and redeeming her character. For ages 7 years and over; EAN/MPN/UPC/ISBN: 5030917119866. 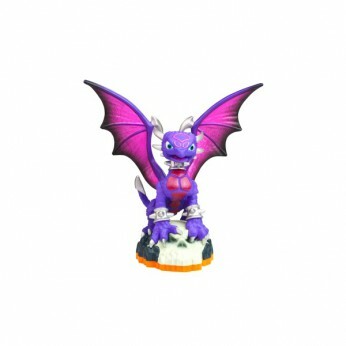 This toy costs approximately £5.24 (for the latest and best prices make sure you check our retailer list for the Skylander Giants: Single Figure – Cynder above). In our review of Skylander Giants: Single Figure – Cynder we classed it as being suitable for ages 8 years, 9 years, over 10 years but recommend you check the manufacturer specific advice before purchasing.